American Door, Glass & Mirror is so confident in our ability to provide the highest level of customer satisfaction, quality craftsmanship, and attention to detail. When it comes to St Louis area commercial glazing. We have spent a little time providing you some points to consider while you are trying to find the perfect St Louis area commercial glazing. A mirror gives a reflection that creates light and a feeling of added space. 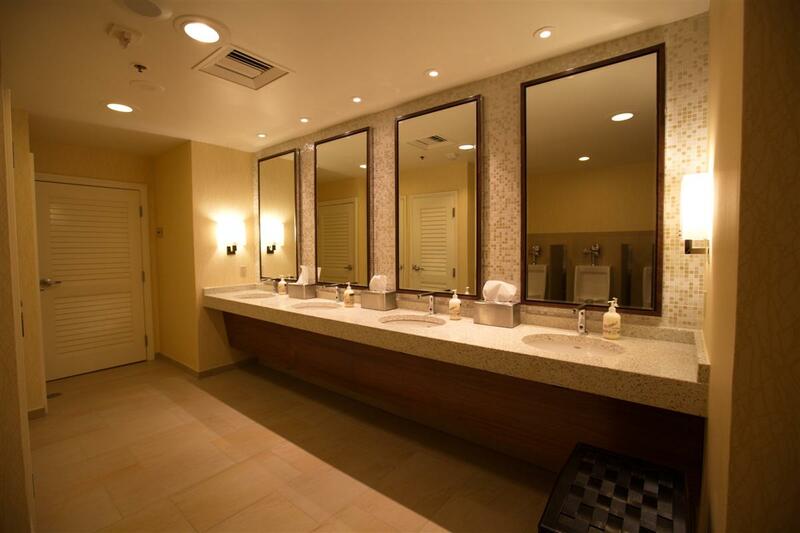 Large or small, mirrors can be used for a wide variety of applications, in virtually any location. American Door, Glass & Mirror supply and install mirrors throughout the St. Louis area for decoration, interior design, safety and training purposes. Welcome to American Door, Glass & Mirror, one of the leading glass and shop front repair service provider in the St. Louis area. Specializing in reactive, preventative and planned maintenance, we provide St. Louis area retail, commercial and industrial businesses with a comprehensive support service, 24 hours a day, 7 days a week, 365 days a year. A St. Louis area shop front and surrounding facade is the first impression a customer receives of the business inside and is a vitally important part of an overall sales package. Our 24-hour emergency service is known to be the best in the industry, getting the right parts, to the right places in the shortest amount of time, to keep a shop front in pristine condition. An equally important part of this sales package are the entrance doors, these should be inviting, easy to use and accessible. American Door, Glass & Mirror door engineers repair or replace parts from all major manufacturers on aluminum, glass, timber or steel doors. If a brand-new St. Louis area shop front installation is required, rest assured that with our expert knowledge, combined with genuine, high quality parts, you’ll be receiving the right product. In addition to shop frontage, American Door, Glass & Mirror is able to provide professional maintenance solutions for all exterior or interior glass, windows, mirrors and doors. From point of sale glass counters to warehouse exit doors, changing room mirrors to high level structural glazing. This service is available to every St. Louis area business large or small including independent retailers, retail chains, local authorities, property maintenance's, facility managements, insurers and sub-contractors. Established for over 25 years we are a first-choice name in the business. Essential to our success has been staying at the forefront of the latest developments and advancements within the industry. We’ve trained our engineers to respond to every emergency with speed and efficiency and to use their skills to identify where future failures could occur. If you require any further information, would like a quote or need a local engineer to visit please do not hesitate to contact our friendly sales team. Boarding up Services for St. Louis Area Businesses. If your St. Louis area retail property has been damaged, you can count on American Door, Glass & Mirror to provide an exceptionally high standard of boarding up service, including our true 24/7 emergency boarding up service. One phone call to our dedicated helpline support team is all that is needed. An engineer will then fully repair your property or provide temporary boarding until a complete repair can be undertaken. American Door, Glass & Mirror will arrive at your premises promptly, day or night, to make your St. Louis area property safe and then take measurements for new glass, doors or framework. Our engineers board up quickly and make thorough inspections to ensure the right specifications are followed and the correct materials are fitted. In some cases, small glass panes and door glass panels can be replaced immediately. For more severe damage you can rely on American Door, Glass & Mirror for the complete package. From the moment, you place your call, our sales team and engineers will coordinate to arrange estimates, order new parts and organize the fitting of replacements. All calls to American Door, Glass & Mirror are handled through our central helpline by trained staff who understand the need to react and respond immediately. Local American Door, Glass & Mirror operatives available, 24 hours a day, wherever the emergency in the St. Louis area. We aim to have engineers onsite in under an hour during the night. St Louis Area Insurance Claims. American Door, Glass & Mirror will undertake work covered by insurance claims. Our experienced administrative team take away all the worry of complicated and time consuming paperwork, allowing you to solely concentrate on running your business. When glass has been broken and you need a reliable emergency glass repair service, you can call on American Door, Glass & Mirror with confidence, knowing that we have the largest coverage network of professional, emergency glaziers in the St. Louis area. We supply and fit glass for all types of application, whatever the requirement and specification. We are the specialists in St. Louis area shop window and door glass replacement. Our 24-hour emergency glazing service works around the clock, 365 days a year to eliminate the hazards caused by damaged glass. With branches situated throughout the St. Louis area, stocking a wide range of glass, we endeavor to replace smashed windows or doors in the shortest amount of time, reducing the risk of injury. As experts in our field we are able to offer the flexibility of a company that can deal with every eventuality. American Door, Glass & Mirror engineers can re-glaze all categories of glass, from traditional leaded lights to contemporary all glass doors, structural high level glazing to multi-ply glass floors. Fixed rate glazing plans can be arranged to give your St Louis area company or organization the benefit of a complete glazing service, with the added benefit of reducing your annual cost. 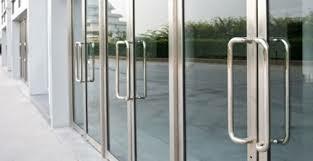 Does your St. Louis area business have a faulty door that won't open or close properly? Have you ever had a locksmith tell you they don't do door repairs, then called a glazier and got the same reply? American Door, Glass & Mirror are different, we've invested our resources into bridging this gap and now you, our customer, can experience the benefit. Fully trained engineers are on call day and night, to attend if your door develops a fault. If a door has fallen off its pivot, hinges or track, we will work quickly to repair or replace damaged parts, reducing the hazard, ensuring client and customer safety. Our engineers have built up a vast knowledge of door closing hardware and are equipped to change floor closers, transom closers and fire door closing devices. If your door becomes stiff to open, closes very slowly, or worse, doesn't close at all, call American Door, Glass & Mirror and ask about a cost-effective repair. For door repairs we work closely with manufacturers and are confident we can source most parts, or recommend a replacement if a part has been discontinued. We only fit tried, tested and genuine parts as product unreliability is never worth the risk. Major repairs can be surveyed first, then scheduled to be carried out at a time convenient to you, taking into consideration busy times and / or days. 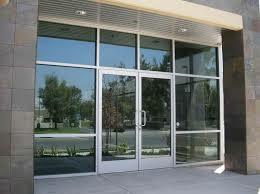 St Louis area Shop front entrance and internal doors work hard to perform a wide variety of duties every day. The average door is required to be easily accessible, close unaided, lock securely and keep out the elements whilst remaining aesthetically pleasing. Every St Louis area business knows it's entrance or exit doors are essential to maintaining the smooth flow of customers and staff. We want to help you keep it that way. Having your doors serviced by American Door, Glass & Mirror, can considerably extend their working life and help avoid unnecessary call out charges. Trained door engineers can make a detailed analysis of any make of door, focusing on key factors like worn or loose pivots, deteriorating hinges, door closers not able to close efficiently, locks and fire exit devices. Engineers will also look for signs of doors rubbing on framework or dragging across flooring. Following each analysis recommendations can be made and detailed estimates submitted. The main benefit of door servicing is that if a fault can be detected early enough it's effect to other parts of the door can be drastically reduced. Don't leave it till it's too late, call the experts at American Door, Glass & Mirror. St Louis Area Shop Front New Build. If your St Louis area business is seeking new ways to stand out from the crowd, increase sales and gain advantage over rivals, an attractive well designed new shop front from American Door, Glass & Mirror can have a huge impact. We manufacture and install a wide range of shop fronts to meet the design requirements our St Louis area clients demand. Our most popular St. Louis area shop fronts are of aluminum construction. Strong, durable and incredibly versatile, an aluminum framework can easily incorporate large window panes, regular, sliding, folding or automatic door configurations along with roller shutters. These frames can be glazed using either laminated glass, toughened glass or our high performance, energy efficient, sealed units. Powder coating can also be applied to the framework if preferred in a variety of colors or matched with corporate color schemes. To maximize display potential and attract attention, American Door, Glass & Mirror can design and install all glass shop fronts. Stunning glass panels with minimal framework, completely concealed where possible, are blended with architectural stainless steel furniture to create clean sight lines and unobstructed views. Essential ingredients of these all glass designs are our use of high quality glass fittings, our attention to detail, and our bespoke finishing options, for example, uniquely designed handles. Call American Door, Glass & Mirror today and speak to our friendly sales consultants about any ideas or designs you might have and ask about our free no obligation quotations.